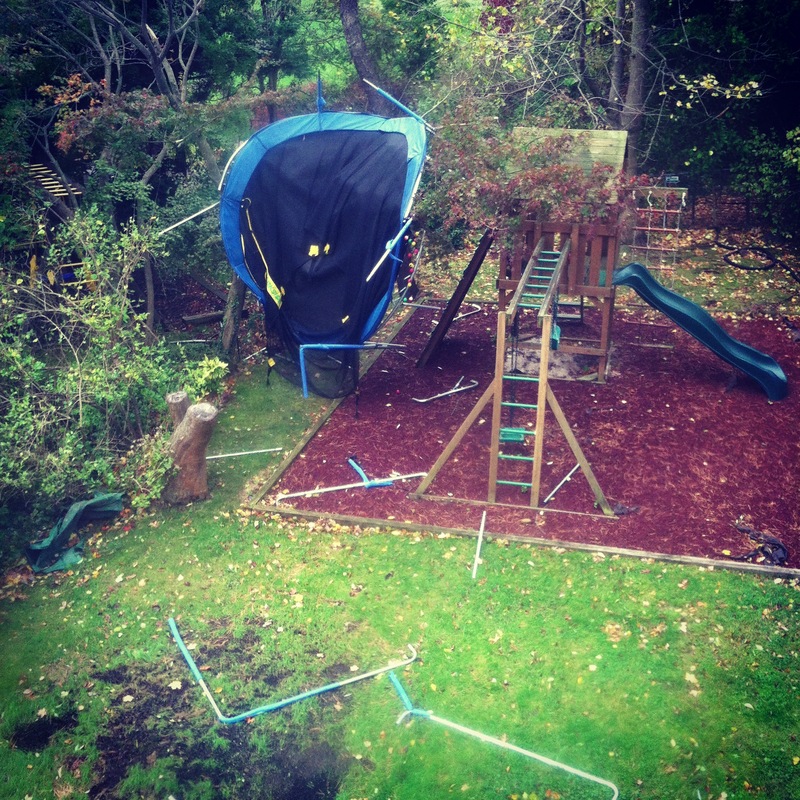 Sandy came and went, but she left her mark — she turned our trampoline into a treepoline! What good will that do us? A lotta good, actually. We really needed a bigger and according to kid #3, a “bouncier” trampoline. Not sure I can deliver on the bouncier mandate, but bigger is always better when it comes to trampolines. A larger one wouldn’t have folded in half and gotten stuck in a tree for starters (I think) and when you have six kids staging a steel cage match on one simultaneously, ginormous is safer. This entry was posted on November 13, 2012 by snoeberry. It was filed under mother nature and was tagged with Hurricane Sandy, steel cage match, trampoline.